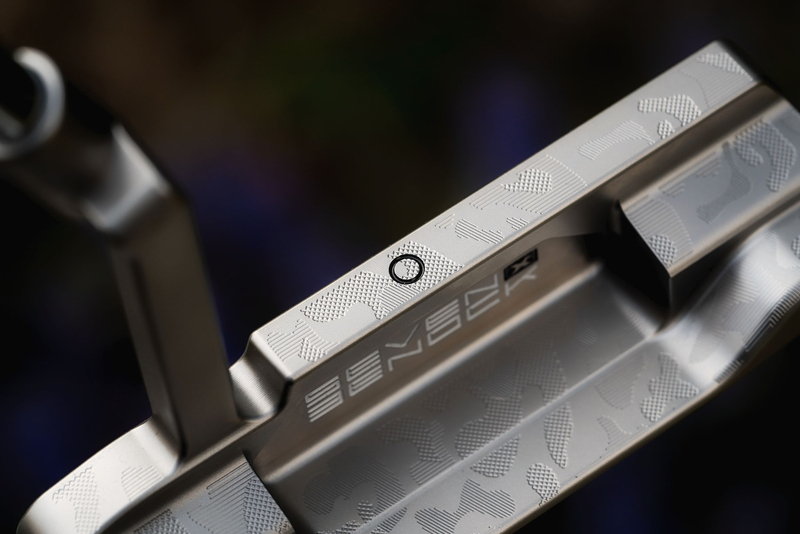 This isn’t just a pretty putter, It’s a technological masterpiece for a few reasons. 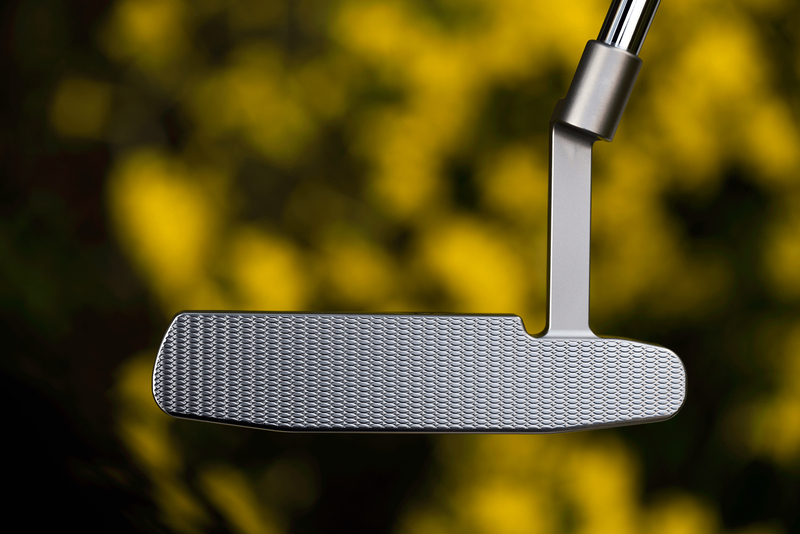 First is it is made of hands down the finest steel anyone can make a putter with. 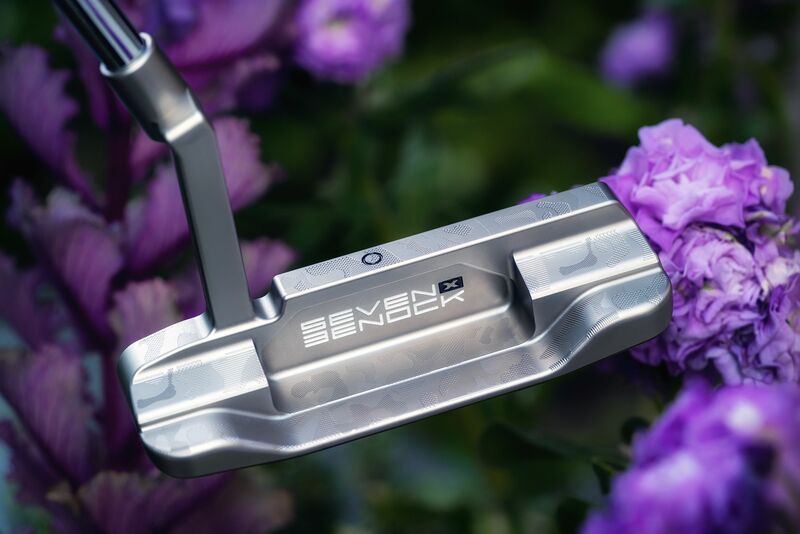 Japan Industry Standard J.I.S grade SUS3136L which has an addictive pure and soft feel that is unique while noticeably different in sensation than the firm vibration of stiainless 303 yet not as gushy as forged carbon steel. 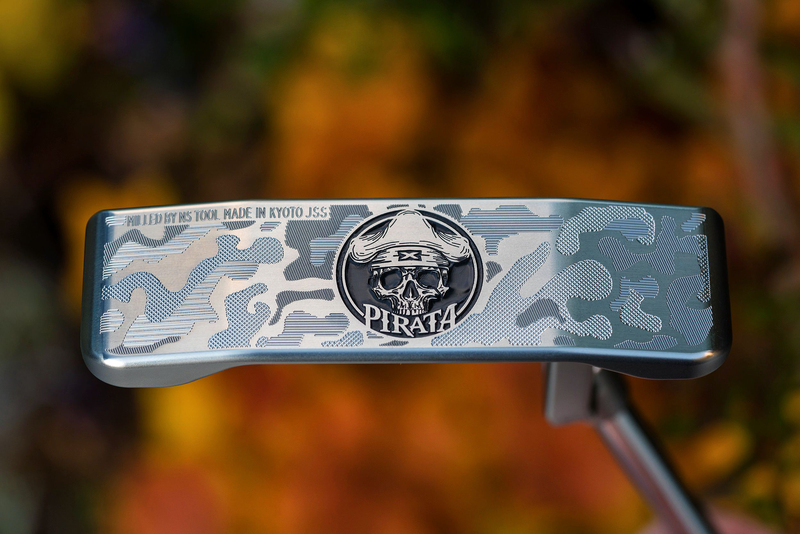 Another stunning aspect of the PIRATA is its camo print milling that encompasses its entire body. This was a jaw-dropper at the show drawing crowds and causing many double takes. 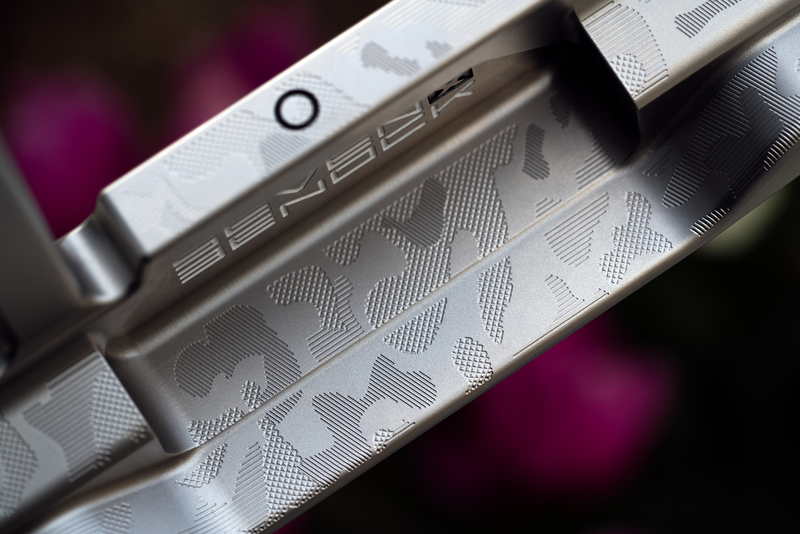 The next few photos highlight how well the camo is designed and executed. 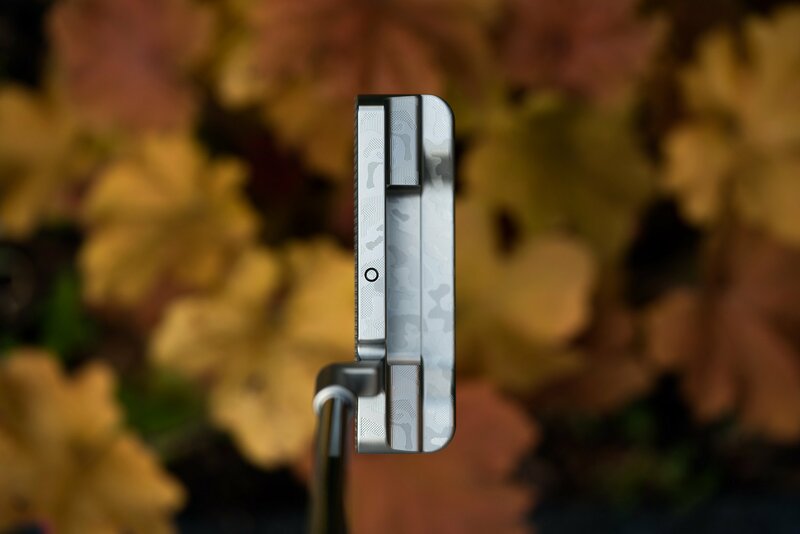 The camo is a subtle look that does not get in the way, it captures the shadows perfectly and evenly across the entire body of the putter. 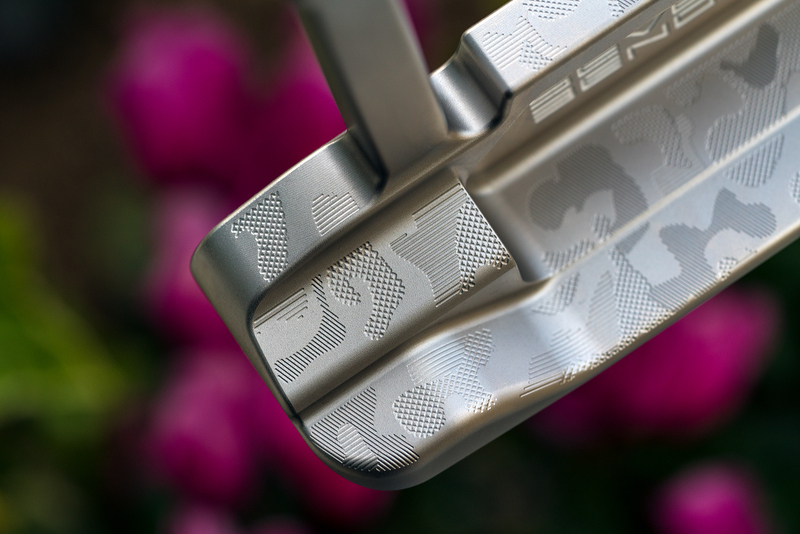 In the pic below the alignment aid chosen is a mini donut which the camo also extends into. It’s the little details that matter. 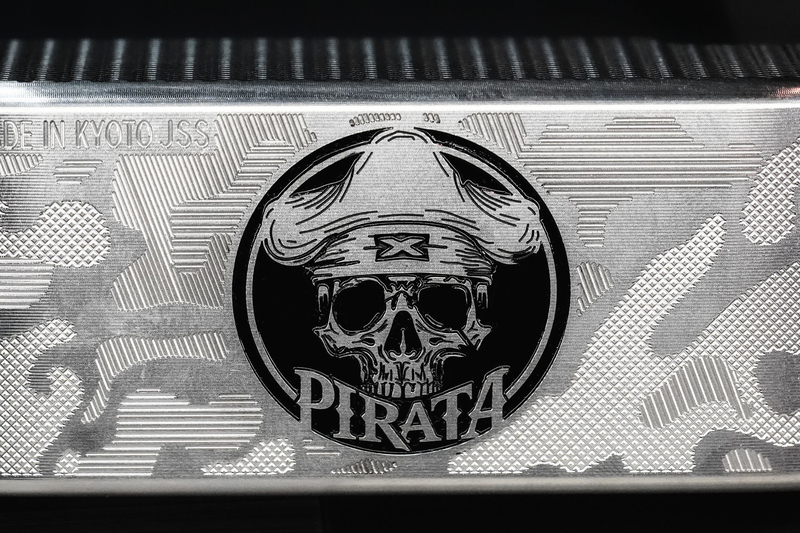 Continuing on with details have a look at the centerpiece on the sole of the PIRATA and the intricate detail in the pirate skull design, this is to a level never seen before on a putter. 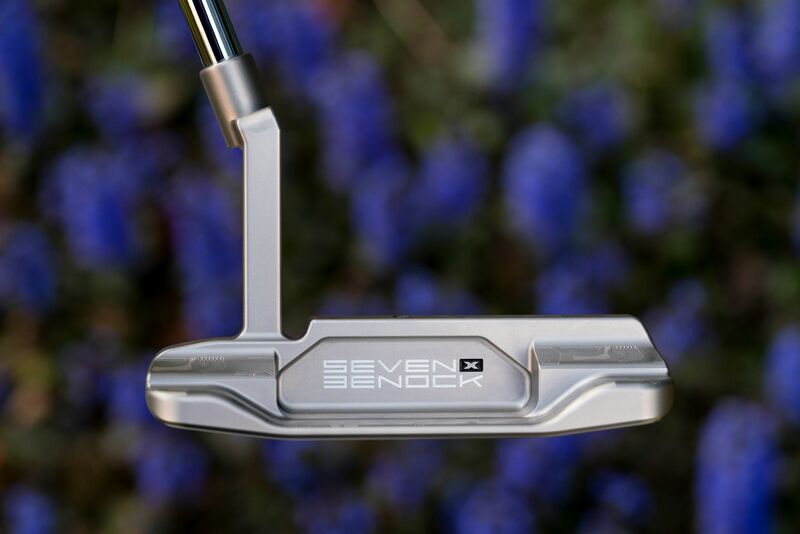 The shape of the head itself is stunning, it’s shallow yet face forward has just the right amount of depth to it. And from the back face angle, you can see how tall it stands from sole to top line. 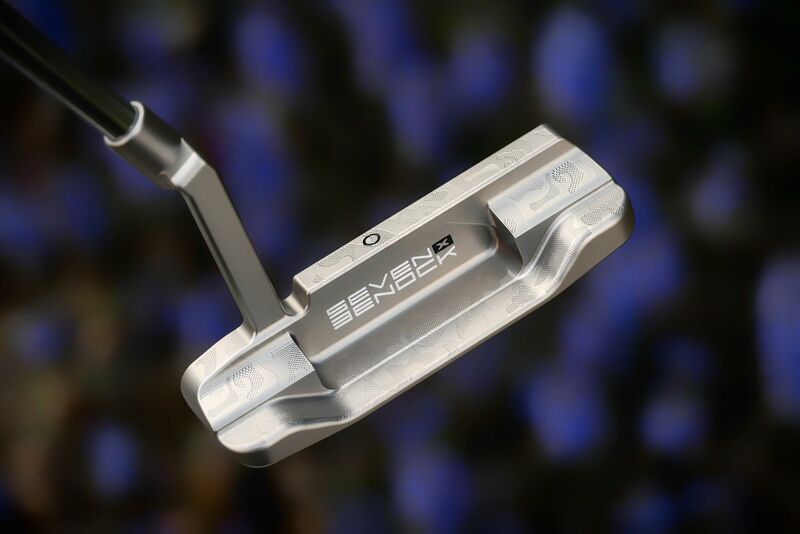 Very few of these putters will be produced and likely sell as the price tag on it is sky high. 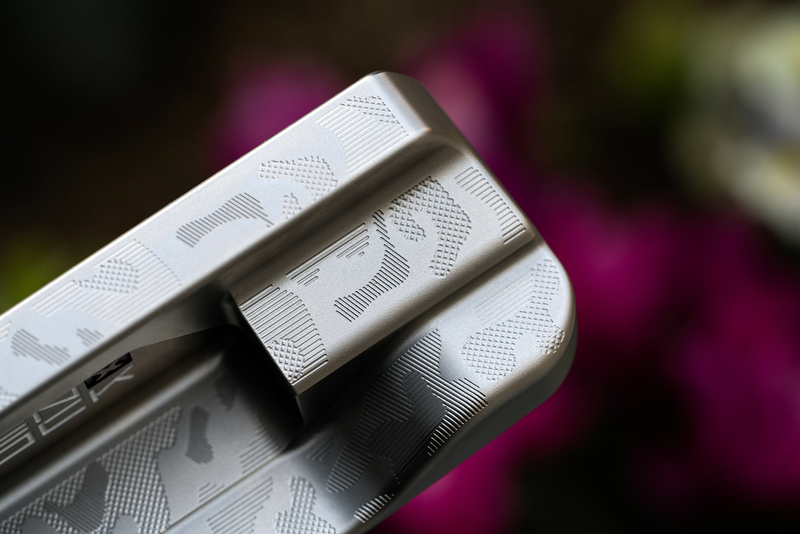 The number of hours of milling and the size of the tools used take putter making to the extreme, the custom cad work involved to take an image and turn it into a reality with this level of precision and execution makes take it to another level. If you are interested simply email us at [email protected] to acquire you a piece. Thanks for reading and hope you enjoyed the pics and explanation!